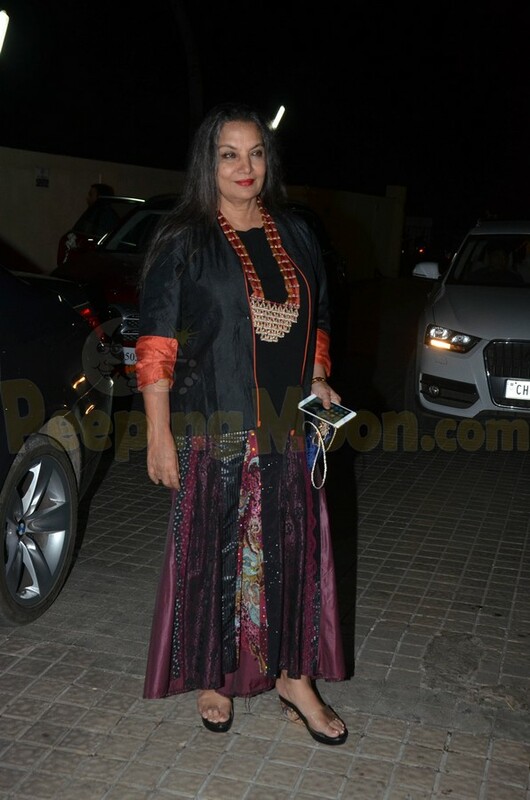 Veteran actress Shabana Azmi has been diagnosed with swine flu during a routine check-up for cough and cold. While speaking to a news agency, Azmi said that she hardly gets a chance to introspect and is utilising her time at the moment to introspect. "Rarely, do I get a chance to lie back and introspect. This is an enforced break for me," Azmi said, a news agency reports. While speaking to the news agency though, Azmi clarified that she has never been in contact with “any swine.” But the good news is that she is recovering “fast” at the hospital. "I have not been in contact with any swine whatsoever. But I am in hospital, recovering fast," Azmi said. Shabana Azmi is the star of films Arth, Masoom, Ankur, Sparsh and Godmother. Daughter of poet Kaifi Azmi and stage actress Shaukat Azmi, Shabana Azmi has garnered accolades throughout her career in the film industry which include a record of five wins of the National Film Award for Best Actress and several international honours. In 1988, she was awarded the Padma Shri from the Government of India and the Padma Bhushan in 2012.